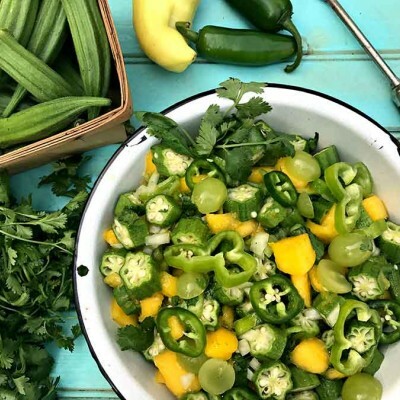 We are all used to stewing and frying okra, but surprise your guests with this delightfully different way to enjoy a Southern summertime favorite. Combine vinegar, sugar, pepper, lime juice and zest. Whisk together and let stand while making salad. Combine mango, onion, grapes and sweet mild peppers. You can make the salad up to this point ahead of time and keep refrigerated several hours. 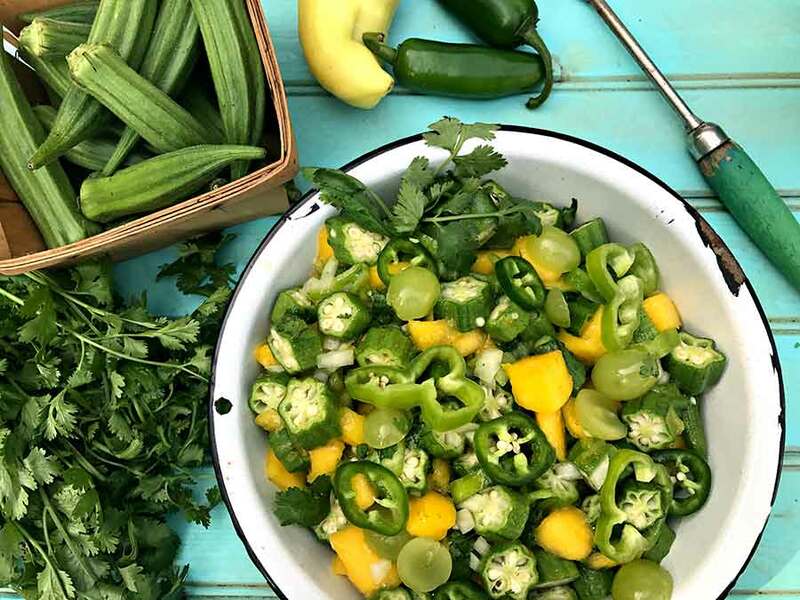 When ready to serve, toss in cilantro and fresh-sliced okra (in ½" pieces) into mango mixture. Stir well and garnish with jalapeno slices. Wendy Perry, a culinary adventurist specializing in N.C.-made food products and small N.C. farms.